Natural slate has been the roof product of choice in the UK and Europe for centuries for both stately homes and workers cottages. 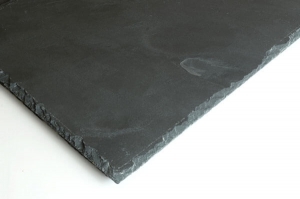 In Australia natural slate tends to be used on high value homes, Welsh slate is considered to be the finest slate available and carries a premium that reflects its quality. Nulok supplies and installs a wide range of high quality natural slate tiles from Wales, Spain and Asia. 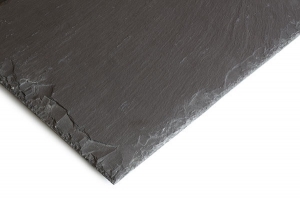 The Nulok Roofing System is the ideal installation technique for slate given that it locks the slates in place, removing the issue of slate breaking free and falling from the roof with the possibility of damage to life and property. Nulok can supply and install a wide range of high quality Natural slate tiles to new and old homes using the Australian developed and patented Nulok Roof Installation System. Our full range of natural slate is imported from many parts of the world including Wales, Spain, USA and China. 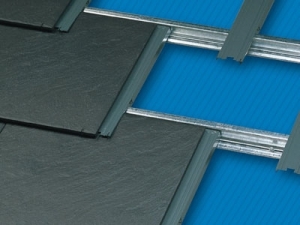 The patented Nulok fixing system has revolutionised the way natural slate is installed on roofs all over the world. This means that the old fashioned method of installing slate tiles where they are double lapped or nailed no longer applies – saving time, money and wastage. The Nulok fixing system has been tested in severe weather conditions outperforming the old fashioned method of installation every time. Nulok is metal fixing system which cannot rot or warp like wooden battens. The Nulok fixing system is approved for heritage installation in most states.